Downtown Detroit Gets High Marks, But M-1 Rail Can’t Come Fast Enough – DBusiness. Domino’s Pizza Global Retail Sales Jump 12.4% to $8.9B in 2014 – DBusiness. CMU’s Business College Plans $11M Facelift, Expands Online Offerings – DBusiness Daily News. Culture shock is a hurdle many people face whether they’re moving out of state or abroad. It’s difficult to adjust to an entirely new environment, especially for homeowners who have lived in the same neighborhood for years. There’s no easy solution for dealing with culture shock, and it ultimately causes some new residents to return to their old homes. You shouldn’t give up on your new location simply because it’s an adjustment. Relocation is the perfect opportunity to embrace a new lifestyle and environment. Read on for a few tips that can help you overcome your culture shock as soon as your relocation movers are finished unloading all of your possessions. A new culture can be overwhelming during the initial stages of settling in to new abode. Residents have to process a great deal of information and learn to cope with many unfamiliar amenities. Give yourself time to adapt and overcome your culture shock. The Daily Muse, a career advice website, recommends exploring an area on your own so you can find cultural aspects that match your interests. Walk around your neighborhood and visit local stores and restaurants to understand your new environment. It’s easy to call home and speak with old friends about your loneliness and how you feel about a new culture. The occasional chat with your loved ones can be therapeutic and help you find your emotional center, but you must also prepare to limit your connections. To combat culture shock, develop a local social network and don’t rely on your far-flung friends and family members. Find fun activities and introduce yourself to your peers. For instance, concerts and sports are great places to meet new friends who share some of your interests so you can break the ice with conversation about the event. Culture shock is the result of a major change, but it can be particularly difficult to overcome if you have a closed mind. A negative attitude can make adapting to your new environment a Herculean task and prevent you from being happy in your new home. Remember why you moved in the first place and look for positive features of your new environment. Make a concerted effort to enjoy yourself and try new activities that weren’t readily available in your new home. You might end up finding a new hobby and making lifelong friends. Relocating to another country is a lot different than staying within your native land and only moving out of state. Many expatriates are surprised when they can’t find certain amenities in their new locations. Additionally, it’s easier to move domestically than it is to ship items across borders or overseas. Consider all of the differences between your current home and your new country before packing all your belongings and hiring an international moving company. You should give yourself plenty of time to prepare for every eventuality so that your relocation goes smoothly. Documentation The most critical items to have with you at all times are your important documents, such as passport and visas. Your paperwork should never leave your possession during your trip, so keep it in your travel bag. Additionally, photocopies can be beneficial if you’re worried about losing the sensitive documents. It can be difficult to clear customs without having the proper identification and clearance. Customs officials might be able to forward your documents to you in the event of an emergency, but you likely won’t be allowed to leave the immigration facilities until the proper files arrive. Electrical adaptors Design Mom recommends bringing electrical adaptors for all of your devices. Some countries don’t use the same AC electrical outlets as the United States, which means your cables and plugs will be useless. Adaptors turn the outlets into compatible ports for your gadgets so that you don’t have to buy new items such as phones, lamps and other household goods. Adaptors are necessities for expatriates who don’t plan on living abroad for an extended period of time. It’s expensive to purchase new electronics that will be useless once you return home. Long-term and permanent movers should consider investing in devices that were designed for their new countries. Clothes Consider impending climate changes before you start packing your clothes. A new location’s weather might be wildly different than your native land’s, and you might have to be acclimate yourself to the changes. Research the weather patterns of your home so you can decide whether you should bring your old gear or purchase a new wardrobe once you arrive. There’s an added benefit to buying new garments – convenience. The less clothes you have to pack, the easier your international relocation will be. Additionally, fitting into a new culture is simpler if you’re not dressed like a tourist who doesn’t understand the customs of a foreign country. Having an experienced real-estate agent who knows Rockwall and the surrounding communities in the area is important. Having a real-estate agent who understands the needs of families the serve is priceless. Buying or selling a home can be overwhelming if you do not have an agent with the understanding and empathy of a family’s needs and desires. That’s where The Jessica Hargis Group shines and differentiates themselves from other real-estate groups. The Jessica Hargis Group prides itself on having the most professional realtors on their team as the real-estate team services Rockwall and the surrounding Dallas, Fort Worth communities. 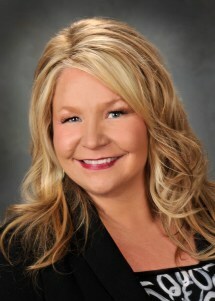 Recently, Donna Patrick has joined Keller Williams’ The Jessica Hargis Group which is based out of Rockwall, Texas.